← Lame Adventure 166: Bait and Switch or Just Bait? Lame Adventure 167: Why didn’t I think of that? One evening last week after work, I met Coco for a beverage. After parting ways I headed to my sanctum sanctorum realizing that the hour was not ridiculously late and I could pursue something uncharacteristic, a decent night’s rest. As usual, when I entered my apartment, I had to look at the eyesore that Konstantine, my next-door neighbor, has had cluttering our shared bit of hallway since January when he celebrated his birthday. Late that night, there was a loud commotion in the hallway. The next morning, when I opened my door I saw this site. Not like a good neighbor, shared hallway clutter. I do not know the significance of the Vienna poster, especially since he is Greek from Greece. Possibly the felt slipper was added for amusement – certainly not mine. As for the inoperable intercom he has now plastered to the wall, I am sure that our landlady, Cruella LeGree, will fleece him for defacing the premises when the time comes for him to move out. Then, I might have a hearty chuckle when she smacks him with that charge. Elsbeth: What do you think that means? Naturally I asked if Stu, her husband, was in it as a samurai. Elsbeth: He wasn’t in it, but I had a daughter. Elsbeth has a daughter, Charlie (yes, short for Charlotte). Me: So Charlie was in it? Elsbeth: No, my daughter wasn’t Charlie. Me: Did your dream have sub-titles? Subliminal message in Elsbeth's dream. Then, The Boss’s phone rang effectively ending one of our more interesting discussions of the week. 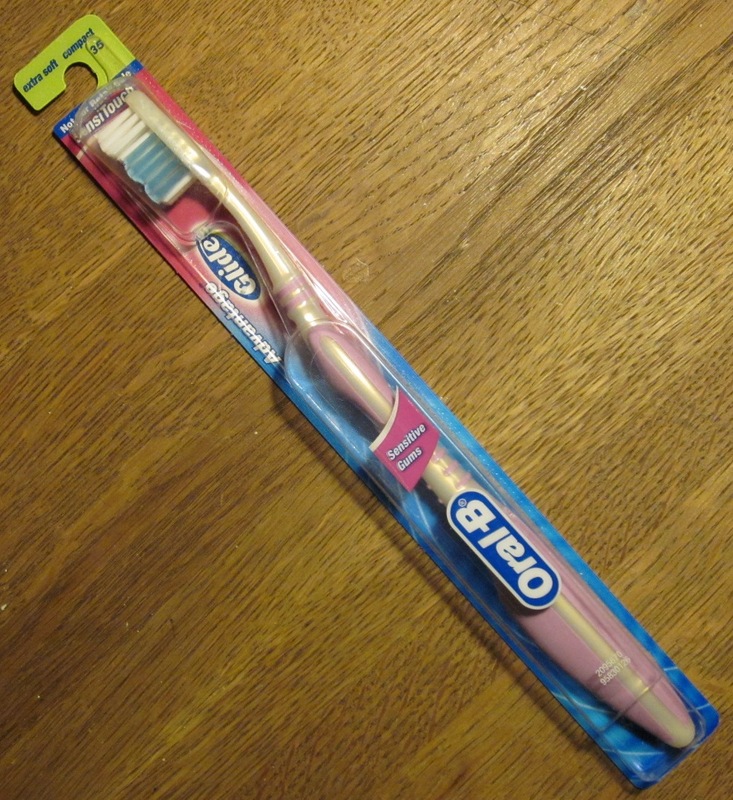 Unlike my superior, my dream, selecting a toothbrush at my neighborhood Duane Reade, was a tad less imaginative, but I suppose that explains why she owns the company and I’m just her serf. Me: This sounds violent. Should I do something? Konstantine, my neighbor, was once again on a rampage, or possibly on the receiving end. I went back to sleep. 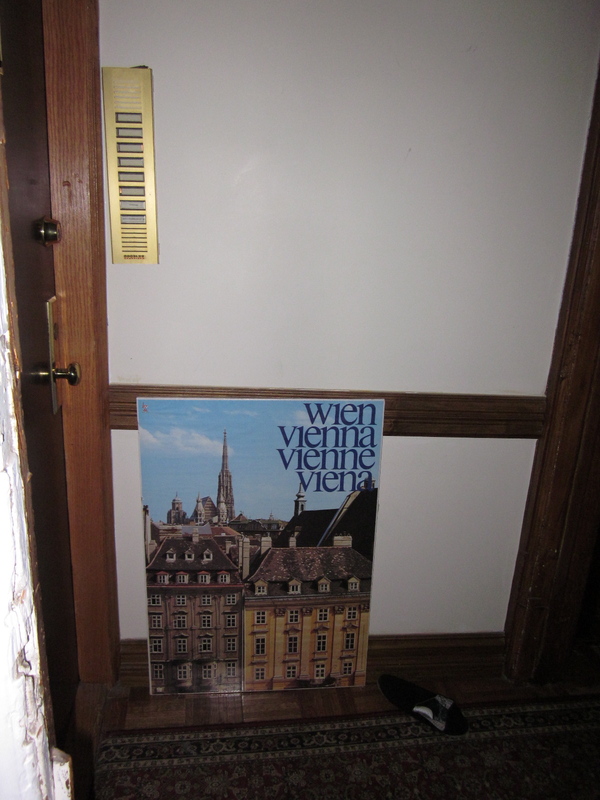 The next morning when I opened my door to leave, I noticed that the Vienna poster was gone. This pleased me. 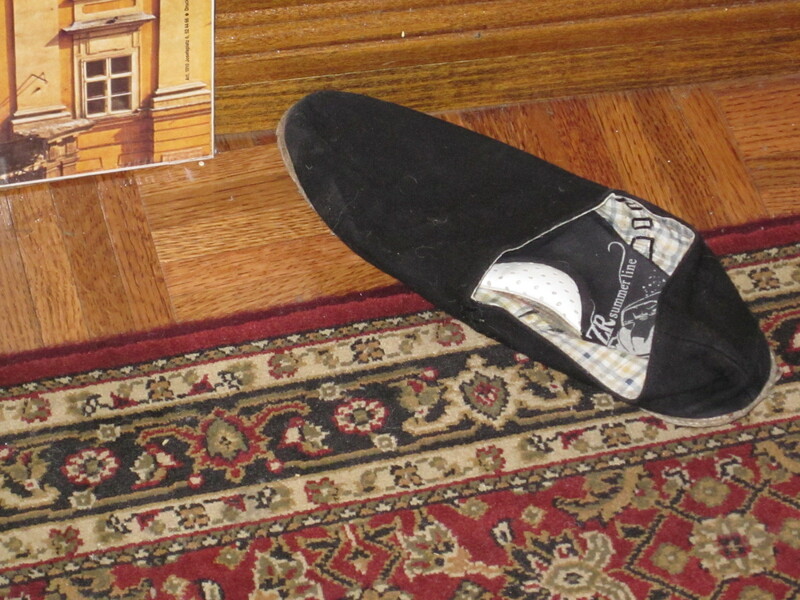 For anyone who might be wondering, the slipper was removed the day after it first appeared in January. 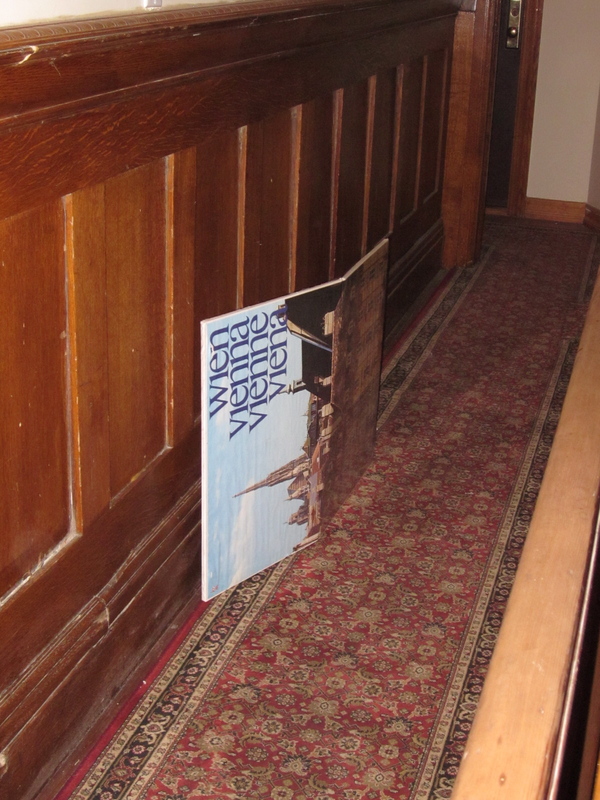 As I headed down my building’s stairs en route to my Journey Of the Broke, I had one more encounter with my neighbor’s Vienna poster, this time in the hallway of the floor beneath us on its side dented in half. Why hadn’t I thought of that? Oh right, I am not a temper tantrum tossing nut job. Apparently, I just happen to live next door to one. This entry was posted in Humor and tagged anger management, neighbor rage, ozu, tokyo story. Bookmark the permalink. All I can say your neighbor has slippers the size of gunboats!